In this comedy-drama series, the doctors of a mobile surgical unit in the Korean War constantly chafe against the restrictions of the military, and they do their best to get through their days despite their hatred of the war. Alan Alda stars in this iconic, critically acclaimed sitcom. The final days have finally arrived for the 4077th. In the passing days we find Charles as a conductor for a musical group of Chinese prisoners, B.J. wishing to make it home in time for Erin's birthday and Margaret trying to find a glamorous Army post. But tragedy also befalls some of the group as Hawkeye battles his war memories after an incident aboard a bus, Father Mulcahy loses his hearing from an explosion and Klinger's fiancee can't find her family members. As the camp closes its doors forever, each member tells their plans for the future and say their final goodbyes. Margaret and Hawkeye help collect items for a camp time capsule. Also, B.J. gets revenge with the help of a fake grenade, and Klinger falls in love with a young Korean woman who is suspected as being a spy. A soldier learns a heartbreaking lesson after he makes a friendship with a GI he had wounded. Meanwhile, Charles will do anything to avoid taking part as the Charity Officer. Colonel Potter is torn between friendship and doing what is right when the doctors discover that his old friend, Colonel Woody Cooke, froze while the enemy attacked his platoon he was leading, causing unnecessary casualties. Margaret loses her voice as she is about to meet Dr. Chesler, a personal hero of hers. Meanwhile, a visiting Colonel continues planning military strategy, even as his own wounded son is laying in a bed at the 4077th. Hawkeye and B.J. are suffering from restless nights due to Charles' snoring, a condition of which makes him question whether he is a true, Winchester. Meanwhile, Colonel Potter discovers that his visiting son-in-law had an affair in Tokyo. Father Mulcahy is asked to make the 4077th proud when Colonel Potter makes a bet against the 8063rd in a running race, who then pull a fast one by bringing in an Olympic marathoner for the competition. Hawkeye and B.J. go to no ends to bring a new, racy movie to the camp that had been banned in Boston, called "The Moon Is Blue" as a means to boost morale during a heatwave. The crew hold a mortgage burning party for Colonel Potter after Hawkeye receives the good news from Mrs. Potter in a letter. To boost the wounded soldiers moral, Hawkeye and Charles announce that there is a rumor that Marilyn Monroe is coming to the 4077th to say thanks for treating her wounded cousin. As the news gets out of hand, B.J. takes full responsibility when he was unable to rescue a wounded soldier he found while returning from a fishing trip. Episode 5 - Who Knew? Hawkeye is given the duty of reading a eulogy for a nurse that no one really knew too much about, after she dies in a water tower accident in camp. Later, he is shocked to read from her journal that she had deep feelings for Hawkeye. Hawkeye becomes paranoid when BJ vows to pull the greatest practical joke on him, as good ol' Trapper John used to do. The Army tries to get a Korean pilot to defect as PR, but are shocked when no one takes up their offer. Meanwhile, Charles falls for a French nurse but is disappointed when he learns of her past lifestyle. Nurse Kelley has always felt rejected when it comes to the romance going on around the camp and more like one of the guys. But she is seen in a different light by Hawkeye when she comforts a dying soldier. A goat acquired by Klinger ends up eating the 4077th's payroll leaving paymaster Hawkeye holding the bag. Colonel Potter is determined to defeat the Marines in a bowling contest while Hawkeye tries to get in touch with his hospitalized father. Hawkeye treats a prizefighter who suffered a stroke while at the 4077th. Hawkeye, B.J., and Charles find themselves having to decide which enlisted men to recommend for promotion. Under heavy shelling at an aid station, Hawkeye decides to write his will. Charles gets fed up with the sloppy habits of his tentmates while Colonel Potter sends for psychiatrist Sidney Freedman when he loses confidence in his surgical abilities. The doctors are suspicious when a unit has a high number of black casualties while Charles refuses to get anything done about his serious toothache. An AWOL soldier seeks sanctuary in the mess tent of the 4077th. Hawkeye gets outraged by stories written by a sensationalistic war correspondent. The surgeons assist in the delivery of a calf while Margaret gets stranded along with Klinger on a desolate stretch of road on her birthday. Suffering from a fever, Klinger is able to communicate with the spirit of a dead soldier. On the day after Christmas, Colonel Potter has the officers and enlisted men change places for one day. Klinger is arrested for a series of thefts at the 4077th in this two-part episode. Hawkeye reunites two Korean brothers who had been fighting on opposite sides of the war while Charles begins hoarding stateside newspapers that he's been receiving from home. B.J. 's pride is bruised when he discovers that his wife is working as a waitress in order to make ends meet back home. Hawkeye writes a letter to President Truman protesting the continued warfare in Korea and the 4077th is promised a water heater if it beautifies the camp. A visiting officer is rumored to be recruiting personnel for a new M*A*S*H unit leading to fears that the 4077th will be broken up. Father Mulcahy cousels a soldier who swapped dog tags with a deceased fellow GI. The star of a visiting USO troup has to undergo emergency surgery at the 4077th. M*A*S*H is currently available to watch and stream on CBS. 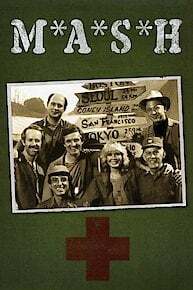 You can also buy, rent M*A*S*H on demand at Amazon, Hulu, TV Land, FuboTV, Google Play, iTunes online.